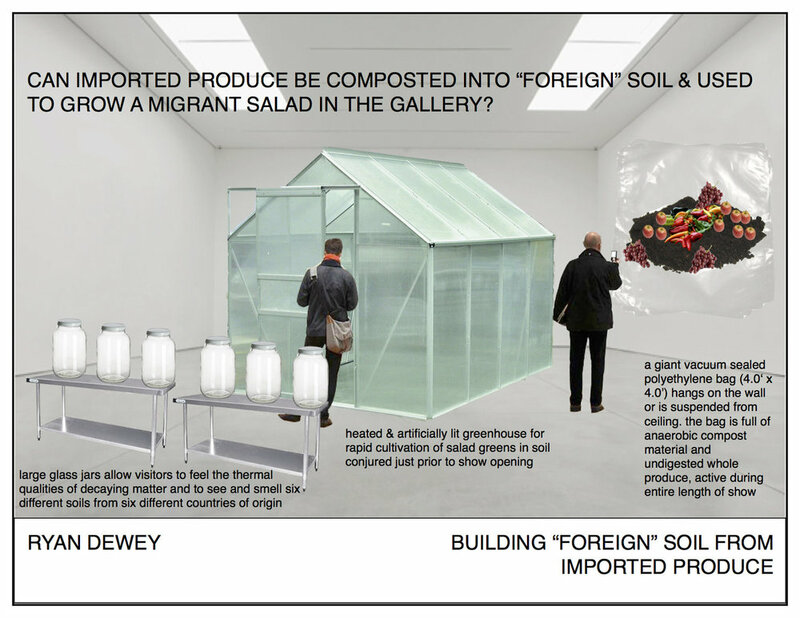 Aside from the carbon-emissions involved in the transport of non-local food items, the movement of produce and other botanical materials removes virtual minerals from the soil and transports them to another location. Since 2015 I have explored this idea by producing single-origin, small-batch anaerobic composts of Japanese green teas, effectively conjuring Japanese soil in Ohio. The idea of terroir (or the taste of place) is tightly linked to soil chemistry, and luxury food items are an ideal site to untangle the impact of terroir to the notion of place in an age of globalization. 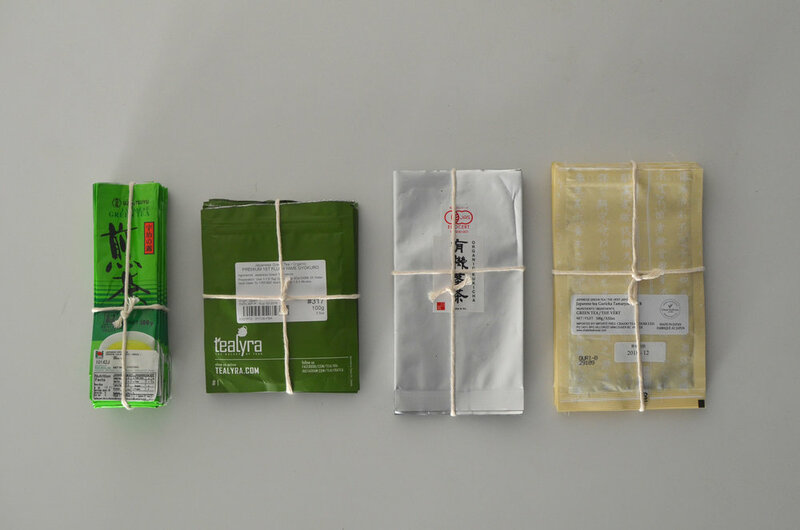 Ten 100-gram sachets of each of four types of green tea from four growing regions were used in this project: Gyokuro from Yame, Guricha (Tamaryokucha) from Ureshino, Sencha from Kyoto, and Kukicha from Shizuoka. As the soils are produced they will be portioned and repackaged in their original packaging as their final form. It will take several years to transform the tea into soil, and I am hoping to exhibit this work at multiple stages as it progresses toward the final transformation into soil. When you think of place as the substance, it is easy to see how products like tea absorb elements of the places where they are grown. When you think of place as the container, it is easy to see how products like tea transport elements of the places where they are grown through the marketplace and the supply chain. Everything leading up to the purchase of the tea is a process of turning soil into tea. Everything after the purchase of the tea is a process of turning tea into soil. The point of purchase is a moment in a sort of mass where one substance begins to transubstantiate into another substance. The point of consumption is another moment - where the body consumes the trace elements of place that are made available through the brewing of tea, and the spent tea leaves are left as ghosts of place in a half-death that sets in motion the events of decay. The point of discard is another moment of this transubstantiation, even a sort of renewal. 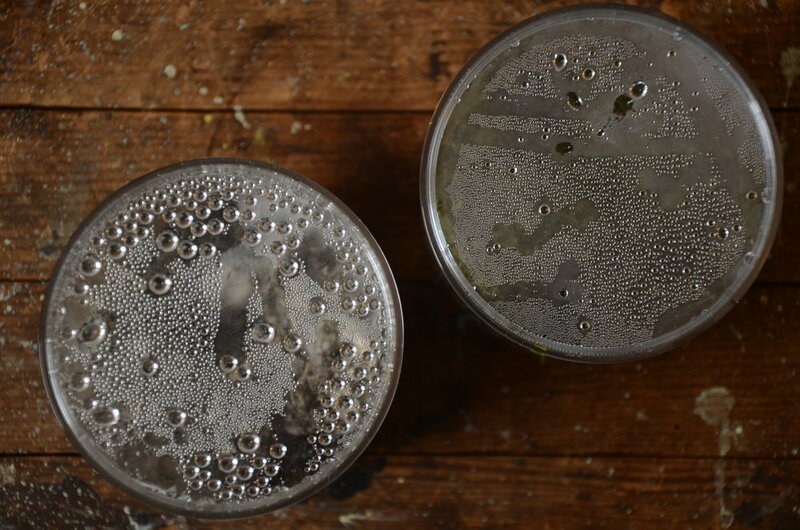 As the tea leaves decompose in the landfill, they enmesh the trace elements of their point of origin with the soil materials of the location of the landfill and the two become one, unified in the process of building a new soil. One place has become another place. Japan is made present in the compost of the spent tea leaves. The act of drinking tea is an act of consuming part of the very substance of the place where the tea was grown. Japan is made present in my body. As the minerals nourish my body, Japan becomes my body. In part, but in earnest, my body is composed of Japan. I am bringing Japan to me in two ways: Japan the soil and Japan the flesh.